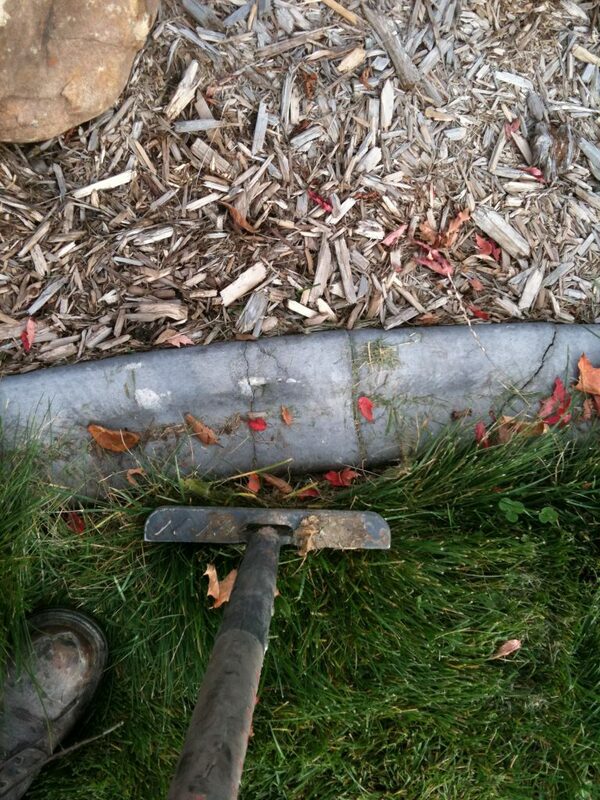 The process of “edging” your curb involves removing the buildup of debris. Curb, like most everything else, is not totally maintenance free. 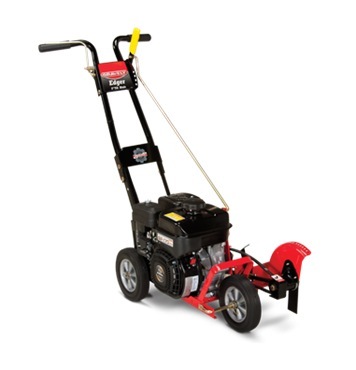 The problem is actually the lawn, which eventually wants to climb up onto the curb. 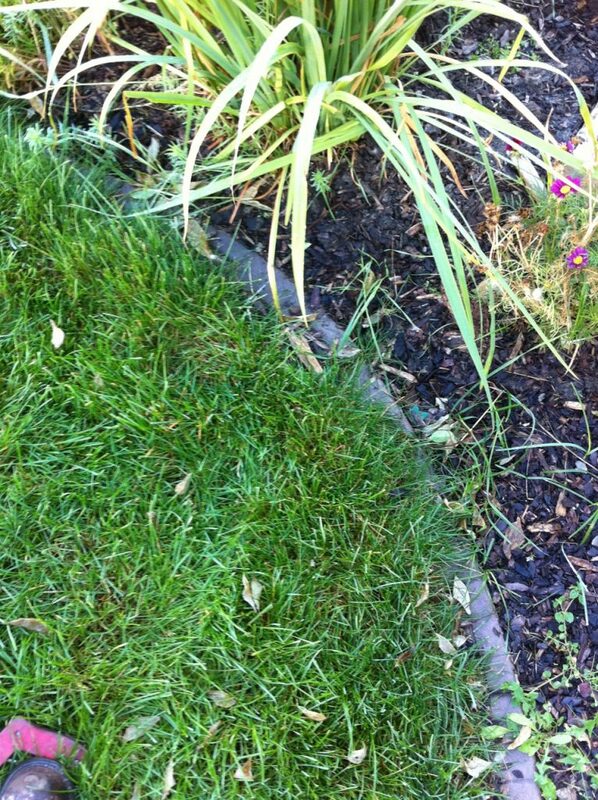 leaves, grass clippings and other debris washes and blows to the front edge of the curb. 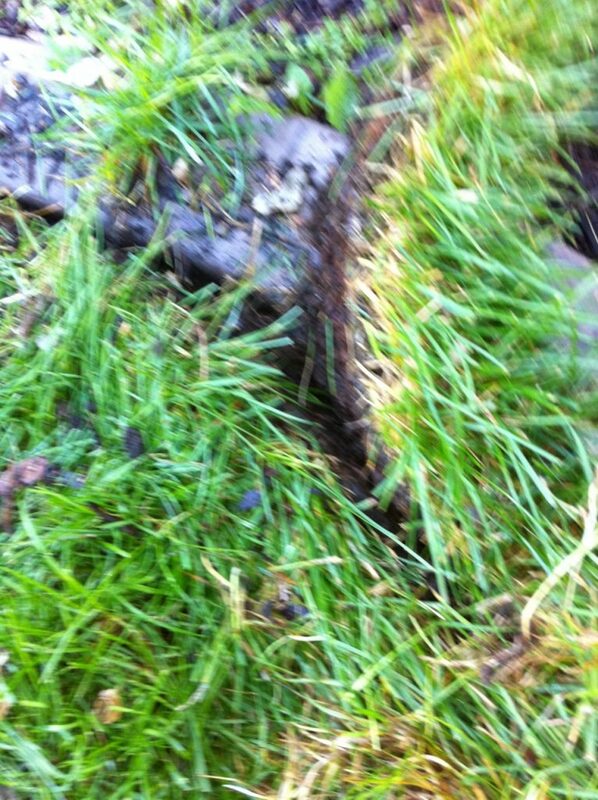 Then the grass eventually grows into this material. 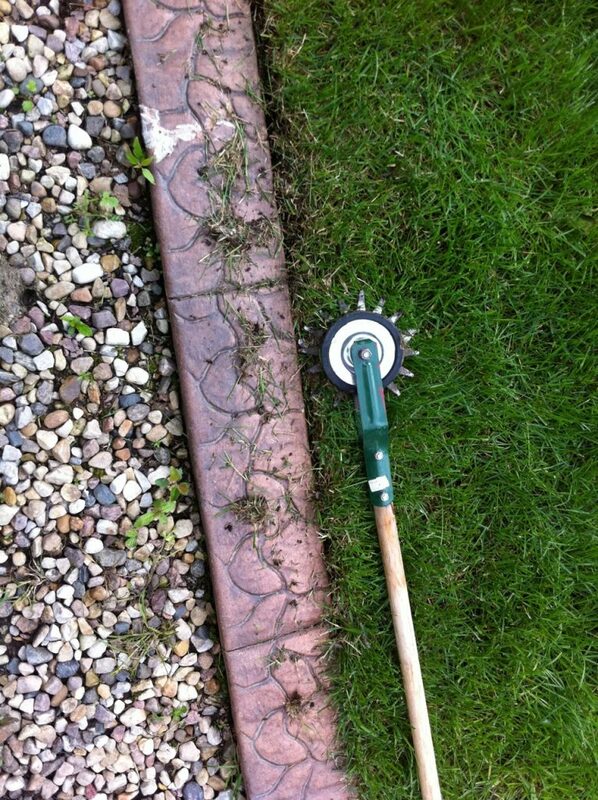 You can do edging using a hooked knife, a power edger, an hand edger, or a weed eater with a nylon line or a metal blade. 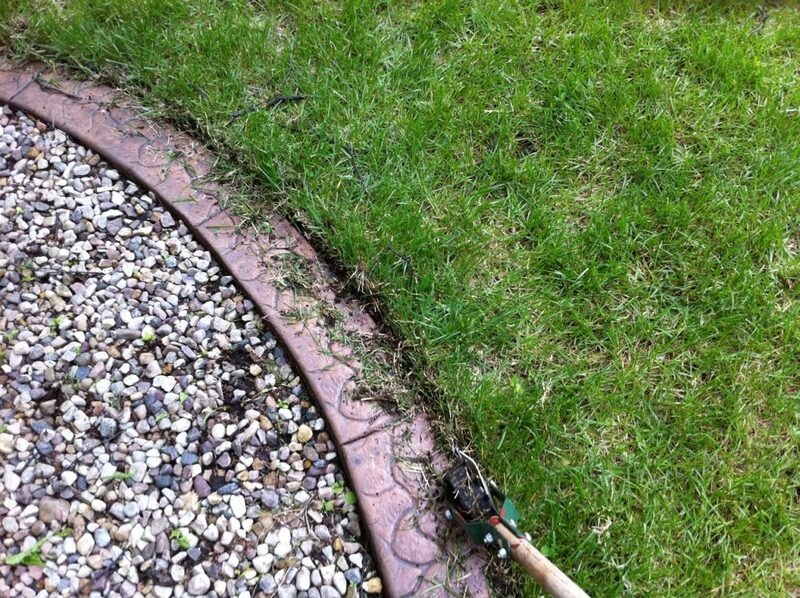 Edging annually is a good idea, and will keep your yard looking tidy all summer. leaves, grass clippings and other debris wages to the front edge of the curb. 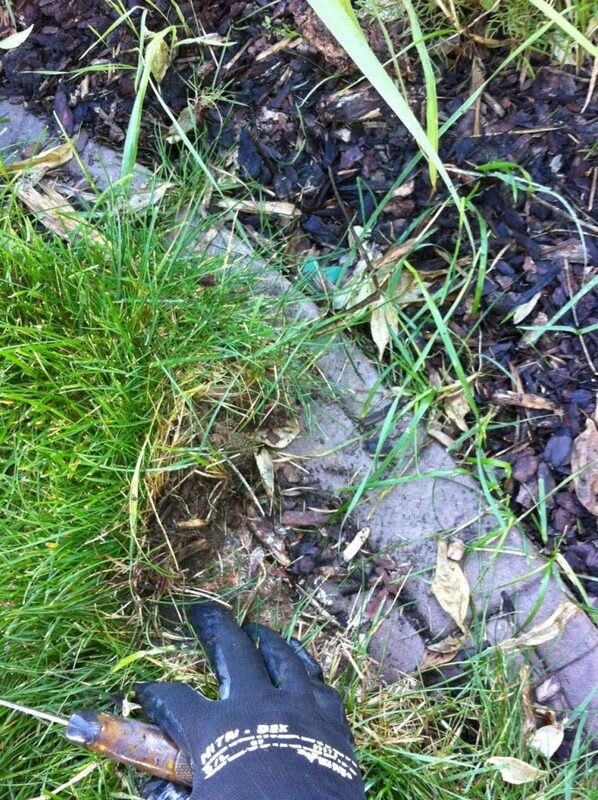 then the grass eventually grows into this material. 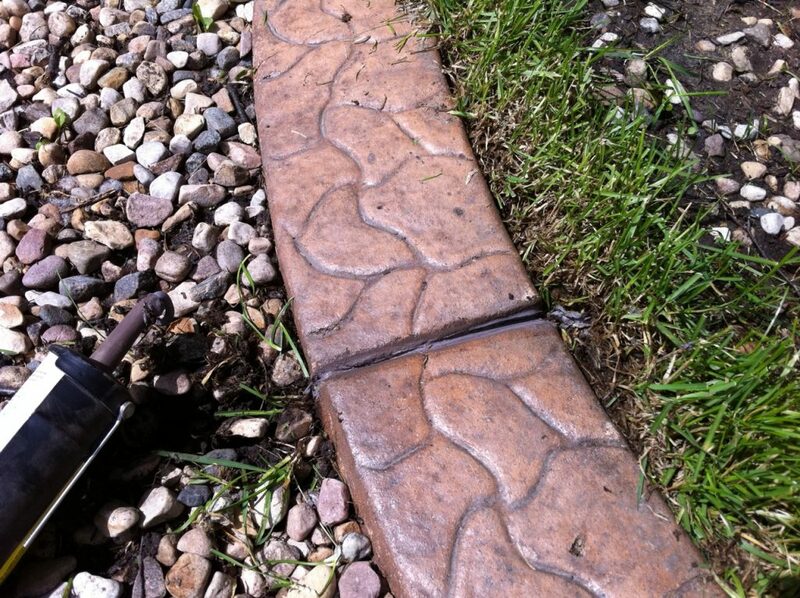 The process of “edging” your curb involves removing the buildup of debris. 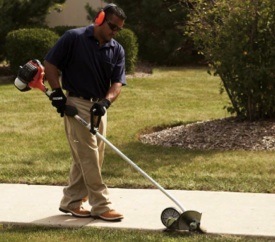 You can do this using a hooked knife, a power edger, an hand edger, or a weed eater with a nylon line or a metal blade. 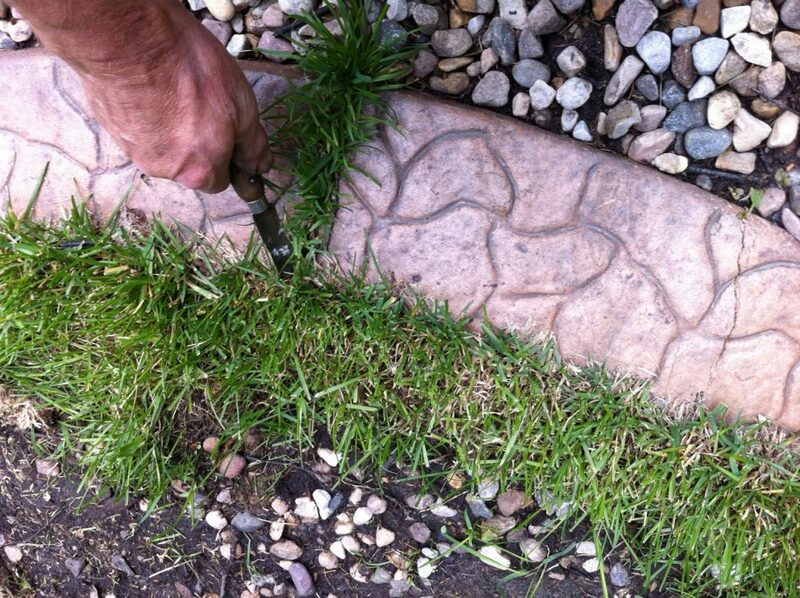 Edging annually is a good idea, and will keep your yard looking tidy all summer. 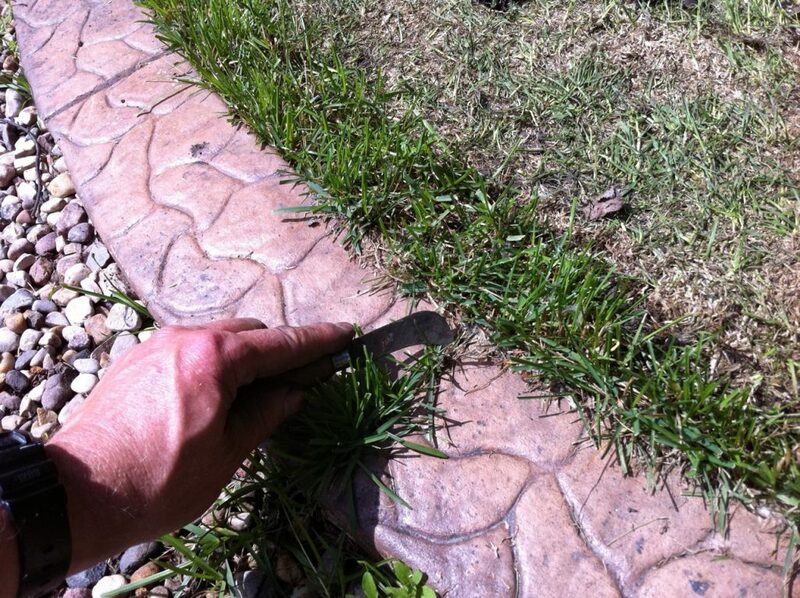 If you have a lawn service do a spring cleanup, you should request that the curb be power edged at that time. Freeze-thaw, wet-dry cycles and normal ground settling causes the curb to open up here and there. The joints we cut are there for that purpose- they control the cracking which is inevitable in concrete which is brittle and completely inflexible. 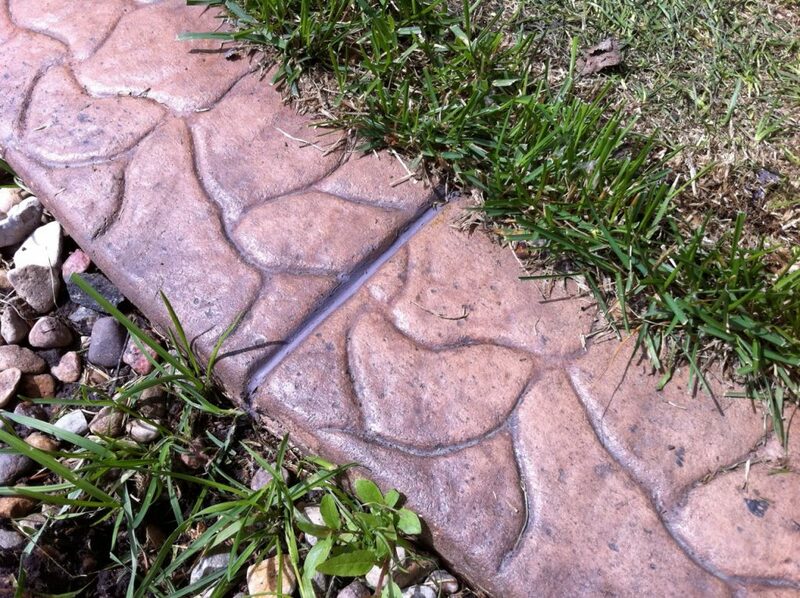 These gaps can get grass growing into them. After your curb has been in place for two or three years, you are likely to see the odd gap. If you fill the gaps at this point, you likely will not see any or much more gaping over the years. 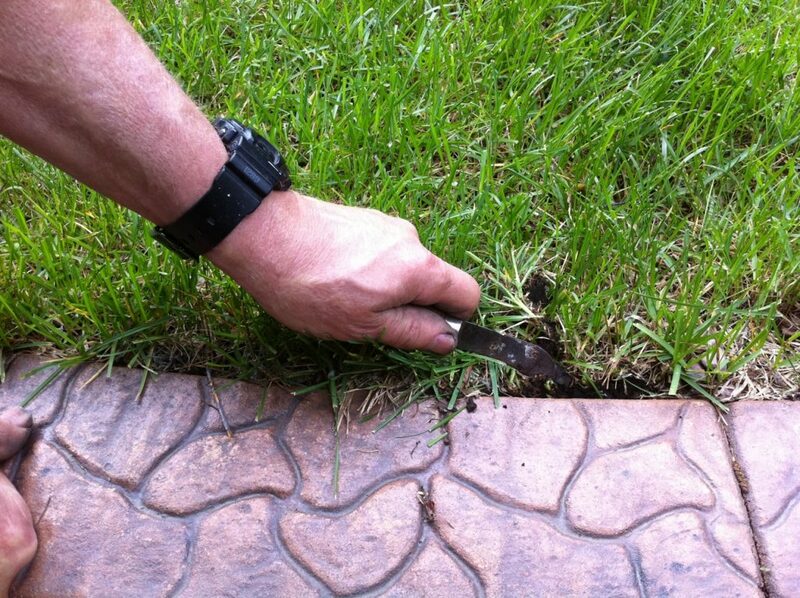 The gap filling is flexible enough to accommodate the ground movement, and the curb has “settled in” at that age. 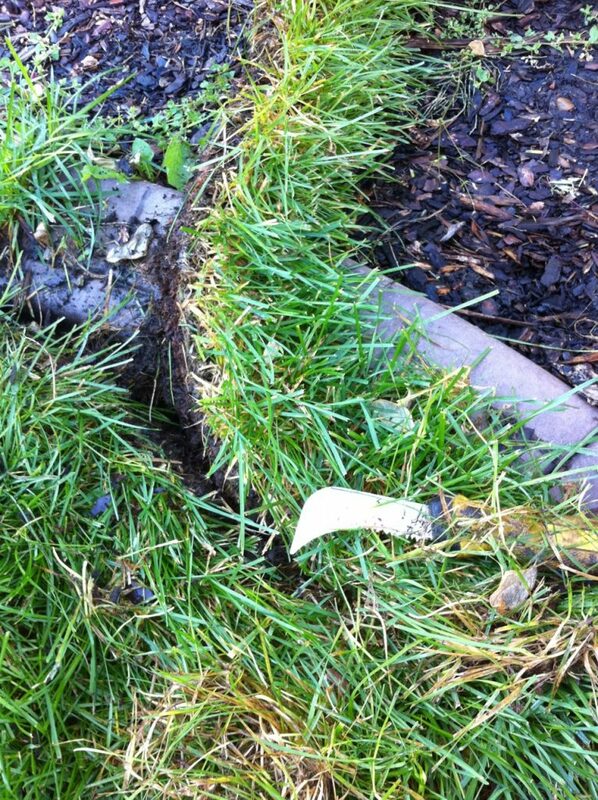 To reduce the grass growing in, simply remove grass and debris the best you can with a knife if some kind- a hooked knife works best. Then fill the gap with inexpensive ACRYLIC caulking generally sold as exterior window and door caulking. 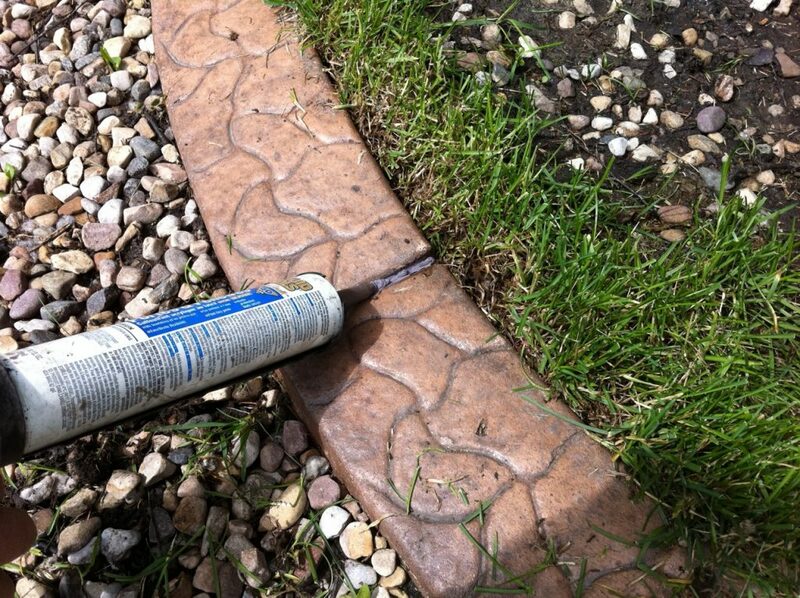 Coloured caulking sells for $3-4 per tube, and a tube should do all of your curb unless you have a huge amount. Do not use pure silicone caulking! It does not stick well to concrete. 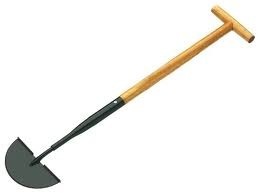 There are several colours available- so choose something that is the same basic colour of your curb. 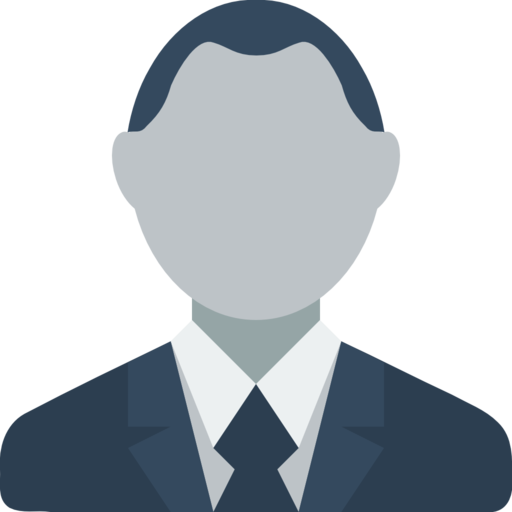 Go darker when there is no close match. Squeeze the caulking as deep as you can into the gap, and wipe excess off with your finger. Avoid smearing it too widely. use ACRYLIC not pure silicone! look how much this curb is being overgrown!